How to update apps on an iPhone, iPad, or iPod. 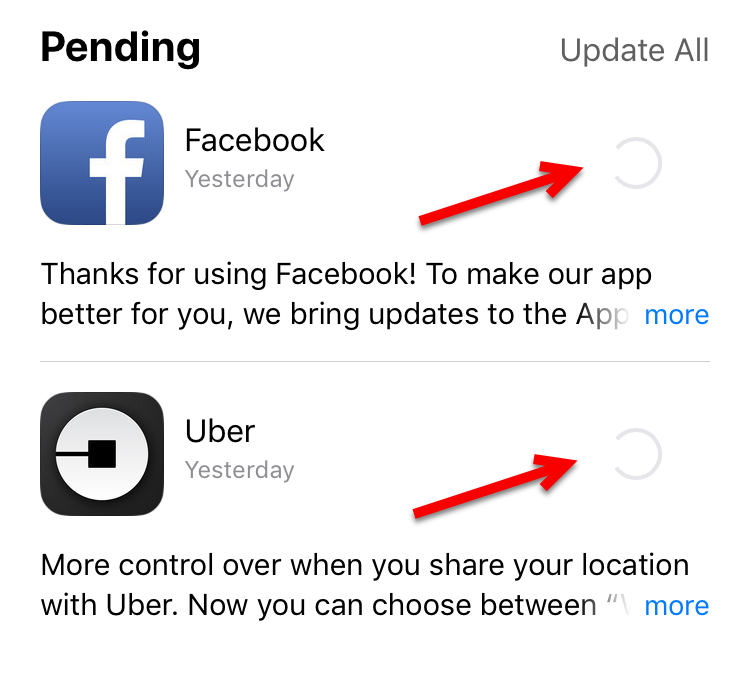 Most apps update automatically, but some require manual updates. Step 1: Locate the App Store icon on your device. 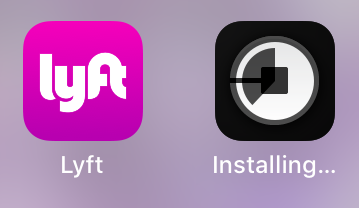 If there is a red number above the icon, an app needs to be updated. 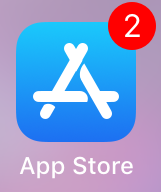 Tap the App Store icon to update the app(s). Step 2: Tap Updates in the lower right corner to view the apps that need updated. Step 3: A list of apps will appear. 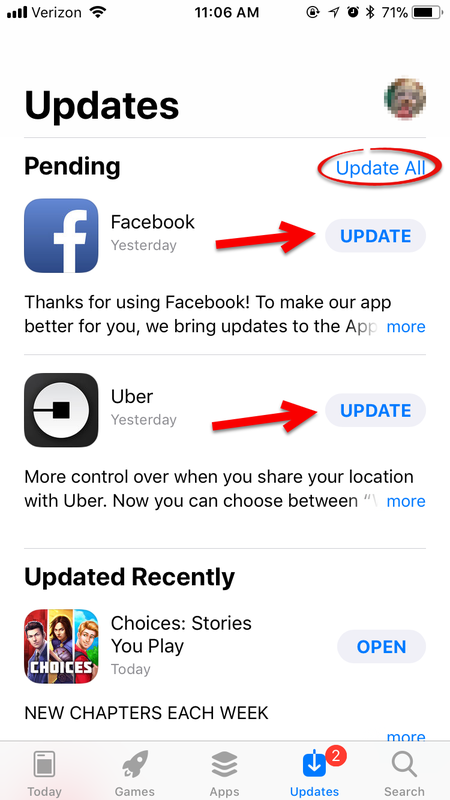 Update an individual app by tapping the update button next to that app. Tap Update All in the upper right corner to update all of the apps simultaneously. Step 4: Enter your Apple ID Password, if prompted. Press OK. Step 5: The apps will indicate that they are updating. Step 6: On your home screen, the apps will indicate that they are updating. They will go back to normal and the number icon will disappear from the App Store icon when everything is finished updating.